Warning: This post contains a dead whale in the final picture sequence. We embarked on our gray whale watching trip at 9am with sunshine and a chilly wind. We had only been underway for a few minutes when the first whale was spotted. It was a gray whale near the southeast tip of Angel Island. We saw a couple of spouts before it headed east towards Oakland. We continued on towards Raccoon Strait, where there had been reports of whales earlier. I spotted a spout close to shore near Tiburon Harbor. We approached slowly and found a gray whale hanging out close to shore. This whale had lots of sea lice, especially around its blowhole. We were able to view both sides of the whale before heading back east to locate different animals. We spotted several harbor seals and California sea lions. Eventually we spotted another spout on the eastern side of Tiburon. We saw this whale come up a couple of times. There was another spout closer to the Richmond Bridge as well. We made our way back around the north side of Angel Island when we spotted a whale floating in the water. As we approached, we realized it was not moving. 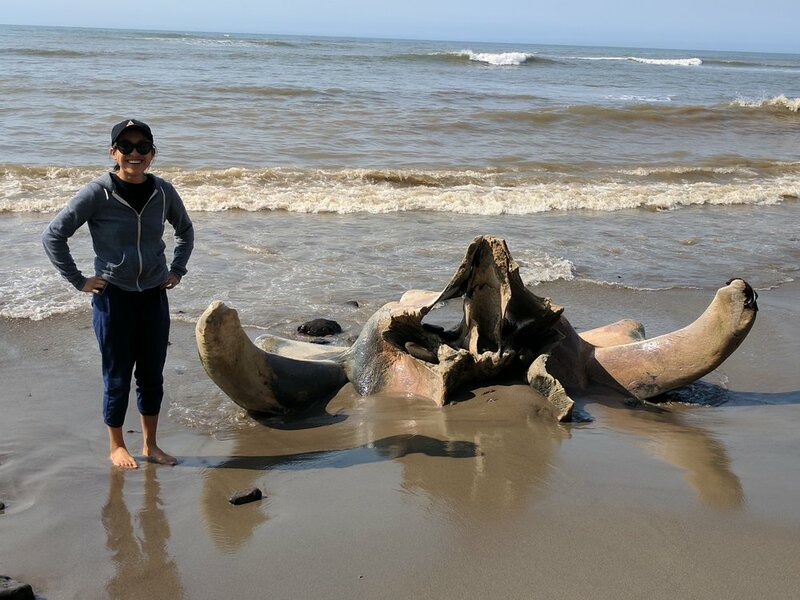 It was a gray whale carcass. The carcass was relatively fresh, although gaseous buildup had begun. We documented and reported the event and the Army Corps of Engineers towed the whale to Angel Island for necropsy by the team at Cal Academy of Sciences. The team determined that the cause of death for this year old 23 foot female was malnutrition. The next day another year old female was found near the Bay Bridge. The cause of death for that whale was likely a ship strike. Read more about these two whales here.